We can screen print 2,400 or more items in one working day from the time your artwork is received and approved provided the shirt or accessory you want is in our stock. For non-stock items, turnaround can be two working days. This service is available even if you've never worked with us before. Complex designs might require more time. With prior notice, larger quantities are possible. Call us. Let us know your schedule and quantities. We will find a way to get your complete order done and delivered in time. Here's the deal: We do screen printing and embroidery. 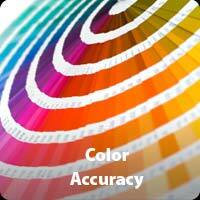 We offer the printable items and related services needed to get your project completed. If you need something in a hurry, we can do that too. Whatever you need, just ask us. 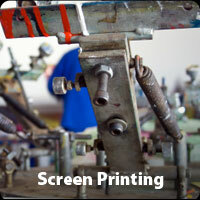 We can screen print your spot color or colors. 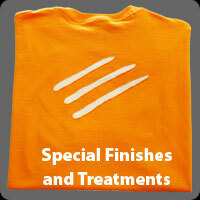 We do process printing on light colored garments and simulated process on dark garments. 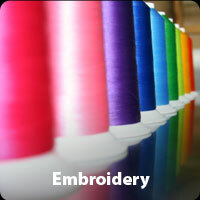 For embroidery, we can special order thread to match your colors. Ask and we will get you samples to check before rolling your project. Special finishes include burn outs, natural suede, high density, reflective, black light, liquid silver, fashion soft, metallic, ice base and more.